I’m reviewing our use of MaxScholar‘s Reading Intervention Programs with my 6-year-old daughter. She’s my only child who is still learning to read. 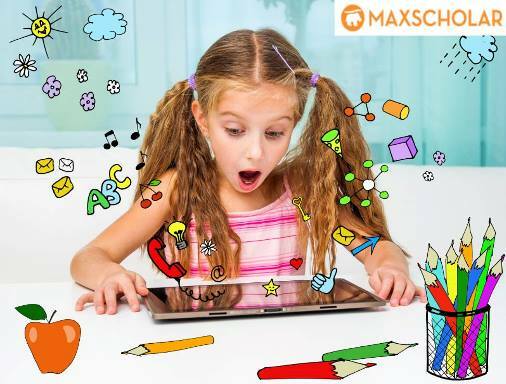 MaxScholar has Reading Intervention Programs beyond just the beginning steps of learning to read. They describe their methods as similar to Orton-Gillingham. That got me interested because, as a former public school teacher, I received extensive training in phonics-based reading instruction, but never anything named “Orton-Gillingham” or claiming to be related to it. I heard of the methods later on as being successful for teaching students with dyslexia or who are otherwise having a more difficult time learning to read. My oldest two children learned to read very, very quickly and easily, and very early. My youngest child is progressing at grade level with reading…which means that to me, she’s at least two years “behind” in reading compared to my older children. I know, I know, never compare children…I KNOW this. I’m keeping reading instruction fun and gentle with her, but in the interest of being proactive, I’m also happy to try out any program that might help her along with learning to read. 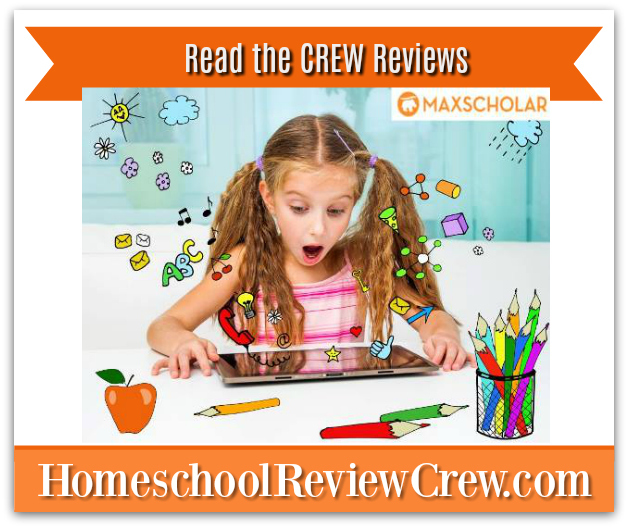 MaxPhonics is the reading intervention program that I was able to use with my 6-year-old. I started my 6-year-old on this because she can read CVC words. I have used gentle phonics with her and the first 20 pages of a written, gentle phonics program. We’ve read a lot and she memorizes picture books very easily. Most of my review will focus on this because it’s the program I was most able to use with my child. I’m going to go through our experiences in detail with going through this program. Getting through the diagnostic test with my 6-year-old was, to be frank, difficult. I think that it requires one-on-one with an adult to get accurate results. It was very dry and there was no game element to it. I don’t think everything needs to have a game-element, so that’s not a knock, I’m just describing it for those of you who might be used to children using programs that are designed firstly to be really fun. The sound quality varied a lot from word to word. The interaction requires you to click on two different parts – one part to hear the word and one part to choose what other picture matches the sound of the first word. This interaction was not intuitive for my 6-year-old. The words are not intuitive, either, and sometimes the pronunciation is off, which just complicates the user interface – such as for Alpaca, where it is pronounced more towards a short /o/ sound rather than a broad, flat American “a.” As a Spanish speaker myself I would pronounce Alpaca either way, depending on whether I’m speaking Spanish or English. If you’re trying to teach short /a/, then ideally you should have a short /a/ sound as the demonstration…not something that’s a phoneme from a different language and drifted towards short /o/. There are many teachers with accents who teach their kids just fine, and that’s great, but for a diagnostic test or pass/fail test in this situation, I think you’ve really got to be careful that the sound represented is consistent. The main speaker (that you don’t see) has a slight accent to me sometimes, especially with /s/, /z/, and /k/ sounds, where my ears are detecting an accent. This accent turns into a problem when teaching phonemes (more on that later). There’s another unseen reader for the stories that has a pronounced Spanish accent, which is not as much of an issue because the sounds are not being taught in isolation. There is an African American speaker who you do see pronounce words in a video, and to me she has no accent. She should have done all the recording for everything. My daughter got a 98% on the phonics diagnostic test, missing only “wh,” which is something that she’s been exposed to and can sometimes read, but wouldn’t know how to write. She got “ph” but she doesn’t know that and I’ve never taught it to her. She told me she was guessing and I didn’t interfere, but I know she doesn’t know it. The computer doesn’t know that she doesn’t know it. She has never been taught many of the other things that were tested, like scr, spl, thr – yet somehow she guessed all of those correctly. She can blend pretty well, so maybe she just blended them in her head even though I haven’t taught those in isolation yet. She doesn’t read those blends when we read a regular book together. MaxPhonics started her out on “wh” and locked all the other diagraphs. I would strongly prefer to have an adult do a paper assessment and then be able to start the child at the appropriate level, or work on the selected skills. You can adjust where the child starts by using the parent Dashboard. I would continue to sit with a young child during the assessments and not rely solely on the MaxPhonics diagnostic test. My 6-year-old was started on digraphs, which I thought was an odd placement given that she had scored so high on the phonics test. Remember, I sat right next to her, so I know what she missed. Because we’re just a homeschool family and only one child was using the program, and she was using it with me sitting with her constantly, I didn’t have need for the tracking features. We worked off my teacher profile or hers and it didn’t matter. The sound quality still varies a lot, sometimes sounding like the speaker is down in a well, sometimes sounding more normal. I couldn’t always tell whether a sound was /th/ or /f/, and neither could my daughter. We’ve never had that problem before except with some talking toys. The sound quality is just variable and overall could be better. There’s eventually a video with a person speaking so you can see her mouth move and make the /th/ sound. That’s good. I mentioned her before – that’s also the same person who has “no accent” to me. The accent issue cropped up again. Kids are supposed to listen to each picture being pronounced and choose the pictures that end with the sound, so the program needs to use an unaccented speaker or at least choose words that are not mispronounced. My daughter did the “ss” digraph and got to the picture portion again. She was supposed to pick out words that end with the /s/ sound. Remember, she’s going only on how she’s hearing the word pronounced, and she can’t see the spelling. Well, the speaker very clearly pronounces the word “balloons” with an /s/ sound at the end. Standard American pronunciation would have a /z/ sound, which would make the word not end with /s/, which is why I suppose the picture was there to choose from. However, the speaker has an accent and VERY clearly says /s/ on the end instead of /z/. “Balloonsss.” So yes, my daughter chose that word as ending with /s/, because it sure did in that instance. She was right, but of course the program marked it wrong. How confusing. I had my husband listen to it and he thought it was a very clear /s/ sound, too. These need to be re-recorded with a person with a flat, standard American native-speaker accent. There were some issues with picture choice. She was supposed to pick words that started with the sound made by the digraph ph, which makes the /f/ sound. Fairy was a choice. You can’t see the words written out. You can only hear them pronounced. Fairy isn’t written with ph but it DOES start with /f/. If you tell children to listen for the SOUND of /f/, you can’t penalize them for choosing a word that clearly starts with /f/. That’s cheating. I felt like that picture was a confusing choice to include. You do that when you’re trying to teach children spelling, not auditory differences. Anyway, if you make mistakes you can choose again without penalty (more on that later). There are activities like virtually writing in sand. My six-year-old liked this part a lot. It’s nice that it shows the letters being formed. Does it count as tactile if you’re still doing it on the computer? I question that. Videos of MaxScholar being used in classrooms definitely show physical activities, so that’s a plus. Studies on math manipulatives have shown an advantage to using physical manipulatives vs. using virtual manipulatives. The virtual sand writing is fine, and apparently the most fun part, but I wouldn’t substitute it entirely for real-world tactile activities. MaxPhonics was too slow for my quick-thinking six-year-old, and too repetitive on the same thing for her. She’s a tornado and doesn’t pay attention to stuff like this for long periods of time. We had to do short sessions, as usual, and that’s possible with MaxPhonics so that part was good. I’ve seen other programs that absolutely require the child to complete 20 minutes at a time, and that’s just not going to happen with this child. She quickly learned to click through as fast as possible to get to the part she wanted to do, which was drawing the letters on the computer screen. You have to click on each picture to hear the sound. I can see slogging through this with an older child, age 9 or up, who has not been able to learn to read through typical methods. I can’t see doing this with a young child of typical ability – especially a child labeled with ADHD or who has trouble sitting still. The program goes from digraphs to suddenly including a long paragraph to read. It wasn’t that my kindergarten child couldn’t read the paragraph, but she immediately shut off when she saw it because it looked too hard at first glance. This is again, the kind of thing that I would say would be better with a struggling reader age 9 or up. I felt like it would have worked better if she saw one sentence at a time, then saw the sentences put together. It would be less intimidating for a 6-year-old. I’ve never seen another program go right into a paragraph like that, so maybe that’s something I’m not familiar with and there’s some reason behind it. In the testing portion at the end of a unit there’s a paragraph where you fill in the blanks. I felt like that was asking a lot from a 6-year-old who isn’t reading fluently yet. Guessing your way through is a large problem with many computer-based programs, but MaxPhonics will eventually catch the child who hasn’t mastered the skill, and send them back. That’s good! My daughter could guess her way through a lot of this because you can change a wrong answer with no penalty, but eventually, she got to a quiz where she had to get the answer correct without being able to change her answer. She couldn’t just click through to the next level and finish the program without actually learning the skill. My daughter retained what we covered. It was effective. It didn’t falsely label her as completing something when she hadn’t actually learned it. Big points for these. Who Might MaxPhonics Reading Intervention Work Best For? The program is not babyish at all. If someone has an older child who needs some intense phonics intervention, I’d try this program. I would have loved to have this at my disposal when I was teaching upper elementary school but had students who still were weak in phonics. Learning to read with a person rather than a computer is preferable, but in a classroom full of kids that kind of time isn’t available to spend on one child who is far “behind” the others. I can see a place for a program like this in that situation. As a homeschool program, I see a need for this type of program with parents who, for some reason, have a child who is about age 9 or older who is still struggling to read. I often see parents who ask about phonics programs for older children who they are pulling out of public school, adopting, fostering, or for any other reason need late phonics intervention. They’re looking for a phonics program for older children – a program that is not babyish. I know a lot about phonics instruction. I’ve taught many kids to read. I don’t know a lot about Orton Gillingham, just some basics, and I’ve never used a specific OG program. I know that it’s highly recommended for use with those who have dyslexia. It’s probably supposed to be slow. It’s probably normal that it feels tedious to someone who doesn’t need to go that slowly. This might be an excellent program for those older students or those who definitely need dyslexia intervention, if the sound is almost completely re-recorded professionally. The levels start with a picture and a simple quiz about the picture, and go on up to reading paragraphs about many topics, such as physicians and inventions. My kindergarten child was not interested at all in the level 0 picture and the slow, flat narration that went with it. We tried a story in level 1. Again, slow, flat narration. The student receives instructions to highlight certain important parts of the story (screencap below). The stories are very “textbookish” and my kids were completely uninterested. We just don’t do “school at home” and this ended up being a poor fit for us. We usually use living books and strongly prefer them. This starts out with teaching vowel pairs, which is good, but too advanced for my six-year-old because it quickly dives into multi-syllabic words. I’d definitely try it with an older child who is a later reader. There isn’t any reason to want to read these words, completely out of context. It was interesting to me as a teacher because of the CLOVER acroynym for teaching types of syllables. I’d never thought about them in those terms before. Again, it’s something I’d use with a struggling reader. I totally don’t get the way spelling rules are introduced – words like “cage” are mixed up with words like “damage” when they’re trying to teach that “age” can be pronounced as /ij/. Then there’s a test after to see which words break the rule. However, there were words that weren’t pronounced /ij/ that weren’t called the rule-breaking word. I’m assuming this goes with some type of program with which I’m not familiar. It’s different, which might be what a struggling child needs. Everything else in MaxWords was far beyond what I could even try with my 6-year-old. Overall the MaxScholar Reading Intervention Programs are something I’d try with an older child who is still having trouble reading, and who likes working on the computer vs. using paper.